Pink, Olive 1943 , Olive Pink Collection. 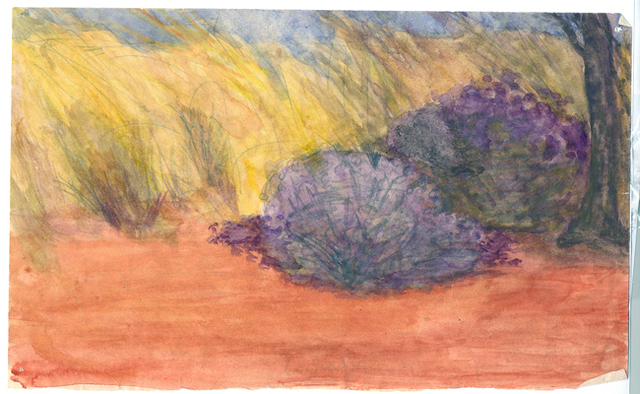 Watercolour on paper sketched by Olive Pink, Thompsons Rock Hole, 1943. Identified by Olive Pink as Lavender (coloured) bush in spinifex country , University of Tasmania Library, Special & Rare Materials Collections, Hobart.